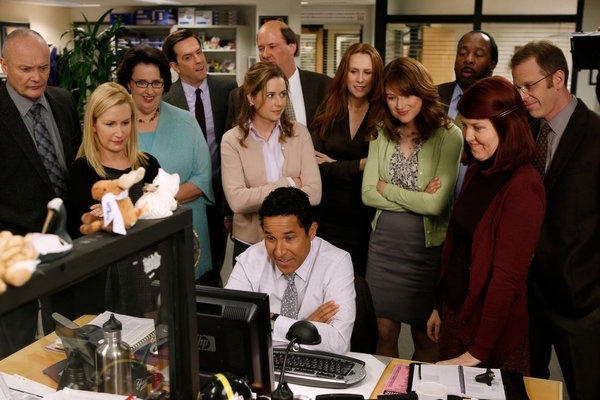 After a couple weeks of reruns, following the airing of "The Farm," the pilot for the potential (but not happening) Schrute-focused Office spin-off series, the NBC comedy returns this Thursday with a new episode, which - based on the above promo - will revisit the documentary that's being filmed and scheduled to air. The episode's title, "Promos" suggests that the characters are about to get a glimpse of some promotional content for the documentary. And it seems likely that whatever snippets they get to see of what's been filmed over the last decade is going to get them talking and reminiscing. EVERYONE IN THE OFFICE IS EXCITED ABOUT PROMOS RUNNING FOR THE DOCUMENTARY—PHILADELPHIA PHILLIES RYAN HOWARD GUEST STARS-- Everyone in the office is excited when promos start running on TV for the documentary. 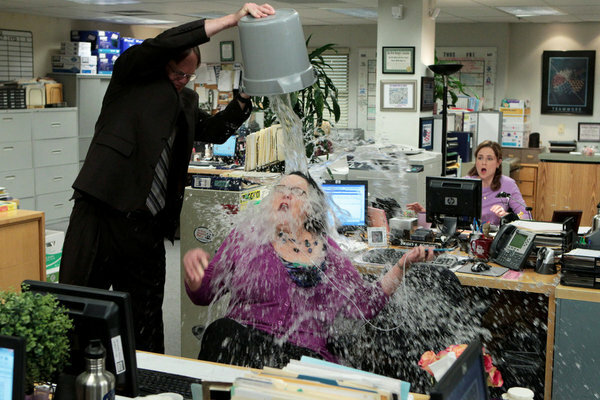 Dwight (Rainn Wilson) makes Angela (Angela Kinsey) jealous when he starts dating a brussel sprout farmer. Meanwhile Jim (John Krasinski) has a big meeting with Major League baseball player, Ryan Howard (guest star Ryan Howard). Based on this photo, it looks like Dwight figured out how to snap Phyllis out of her Christian Grey-trance. But why'd he do it to Andy too? 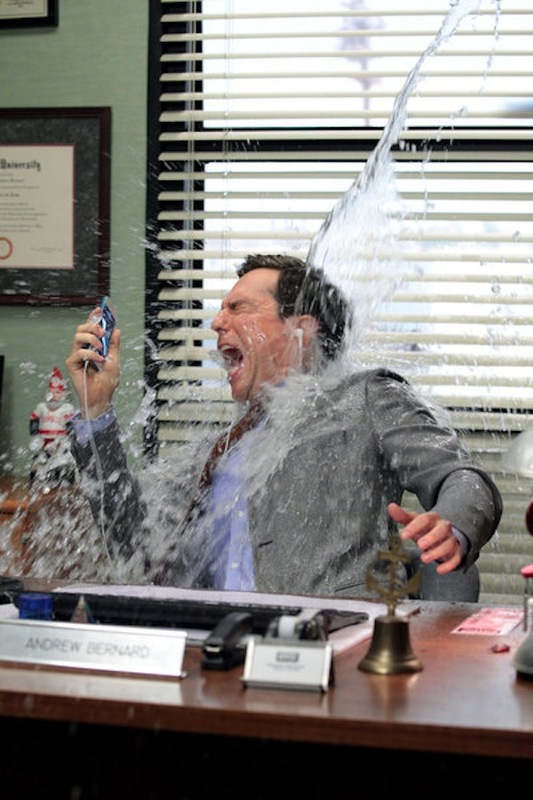 The Office's "Promos" episode airs Thursday, April 4 at 9:00 p.m. ET on NBC.